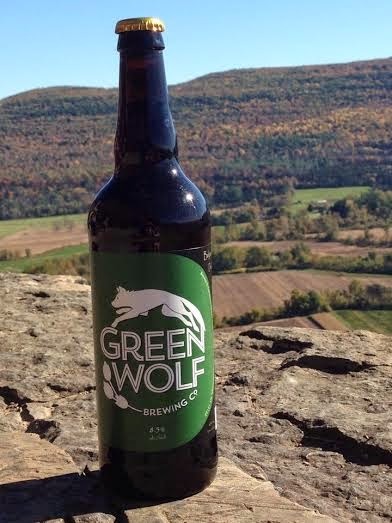 November 21, 2014 - Green Wolf Brewing Company will hold the grand opening of its tap room on Friday, December 12th, 2014 from 4:00 p.m. to 9:00 p.m. The opening coincides with Middleburgh’s annual holiday street festival, Miracle On Main Street, but the celebration will continue on Saturday and Sunday. Initially, the Green Wolf Tap Room will be open three days a week – Friday, Saturday, and Sunday – from 4:00 p.m. to 9:00 p.m., and will feature beer on draft and in 22 oz bottles. Although the Green Wolf Tap Room will not serve food, patrons are encouraged to bring in food from home or from local restaurants to enjoy with their Green Wolf ales. Thoughtfully created by local owner, Justin Behan, the space is designed to be a family friendly, cozy affair with board games available to play, couches to lounge on, books to peruse, and occasional live music.